More than 40 resorts will have polling stations. The number of ballot boxes to be kept on resort islands for the September 23 presidential election has risen to 43, exceeding the count during the last presidential election. 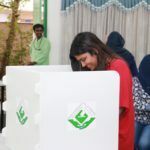 It rose above the 42 ballot boxes in 2013 after the Elections Commission announced Saturday night that polling stations will be set up in Dhigali Maldives in Raa atoll and Oblu by Atmosphere at Helengeli in Kaafu atoll. The EC’s previous decision to drop resort ballot boxes by 87 percent to just seven resorts drew fierce criticism from political parties and civil society. 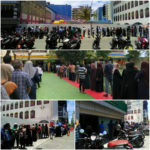 It later reversed the decision and announced that ballot boxes would be kept in resorts where more than 100 Maldivian workers register to vote. A total of 28 resorts agreed to keep ballot boxes when the EC’s registration deadline lapsed on July 19. But the deadline was extended and 13 more resorts registered by last Thursday. According to the EC, ballot boxes will not be kept in resorts where less than 100 Maldivians register. The registered workers will be given a three-day period if they wish to re-register to vote outside their native constituency or home island. There are 27,837 Maldivians working in resorts, representing around 14 percent of the total workforce, according to the last census. 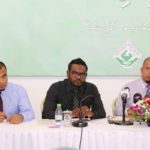 Last week, EC chief Ahmed Shareef told reporters that most resorts do not want to keep ballot boxes. “There are around 77 resorts with more than 100 Maldivians employed. Only 36 out of those 77 resorts agreed to keep ballot boxes and make arrangements for this,” he said. 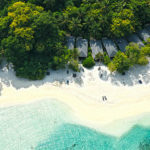 “Twenty-seven resorts out of 130 agreed to keep ballot boxes during initial discussions because many employees will have to re-register to cast ballots in nearby islands. Seventy-nine resorts did not respond. Twelve resorts refused to keep boxes,” he was quoted as saying. But the joint opposition coalition accused Shareef of lying. 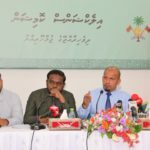 “We have been told by sources within the EC that not a single resort refused to keep ballot boxes,” said Ali Niyaz, deputy chairperson of the Maldivian Democratic Party. A total of 491 ballot boxes will be kept this year and more than 263,000 people are eligible to vote.